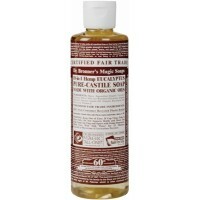 Dr. Bronner's Peppermint Castile Liquid Soap is the most popular Dr. Bronner's fragrance. The peppermint essential oil tingles the body and clears the mind. 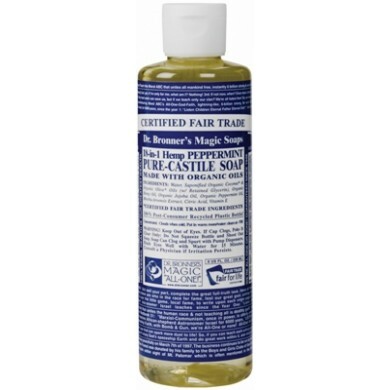 Therapeutically used as a mild stimulant, peppermint oil increases vitality and clarity. 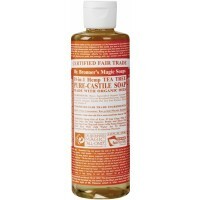 How to use: Dr. Bronner's Liquid Soap is gentle enough for washing body, face or hair, but also powerful enough for tasks like dishwashing, mopping, laundry and even pest control. Different tasks call for different dilutions of the soap.